We are located in the heart of the City of London, the centre of international business and finance and capital of the UK. London is the commercial capital of the world, offering students the experience of a lifetime. Our campus is situated in the City of Westminster within walking distance of the famous shopping areas of Oxford Street and Regent Street. 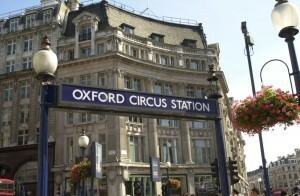 We are only a few minutes walk from the Oxford Circus underground station. You can see our exact location by clicking Contact Us on the menu at the top of the page. London offers the student many attractions. It has a wide range of museums such as the British Museum and world-famous sights such as Big Ben and the London Eye. Bars, restaurants and entertainment can be found everywhere. London is like a country within a country – it is very different from the rest of the UK. It guarantees students an experience which they will remember fondly for the rest of their lives.